about: A simple prompt without any parameter will display the Mozilla “about” information. Since it’s accessible from the top menus as well, it’s not quite a hidden feature. about:cache Will display info and statistics regarding your disk’s cache, including the name of your cache’s directory and a list of the entries you can find there. By default, Firefox doesn’t allow you to view the cached webpages, so this can be an useful option. about:config Oh look, many many info. Indeed, it’s the most complex and meaningful of them all. Careful on what you plan to change here, your browser won’t run properly after if you play with the wrong things. 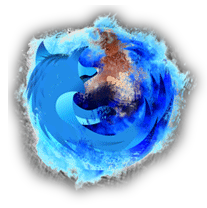 about:plugins Of course, what is Firefox without it’s powerful extensions? This option will display detailed information about all the plugins installed for Mozilla Firefox. about:credits It’s time to give the credit to whoever deserves it. There’s an alphabetically sorted list of all the people that gave their contribution to the development of Firefox. about:Mozilla This is a weird thing. It will display the so-called “Book of Mozilla”. Something similar was present in Netscape too. There’s actually no real book although the quotations might give you that impression. Have fun browsing through your browser’s internal features.